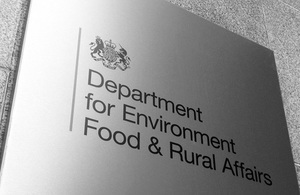 Environment Secretary Caroline Spelman today announced reforms to more than 30 of Defra’s arm’s length bodies. Defra has around 90 arm’s length bodies, many of which were set up in a time when our understanding of and engagement with environmental issues was less mainstream. Most of the things that these bodies do are now part of what the Government does as a matter of course, others are now no longer necessary. “This Government is committed to being the greenest Government ever and the Structural Reform Plan published last week sets out how Defra will play its part in achieving this. Reducing the deficit is the priority for the Government and all departments are playing their part in making efficiency savings. “Together with Chris Huhne I am determined to play the lead role in driving the sustainability agenda across the whole of government and I am not willing to delegate this responsibility to an external body. “We will continue to liaise closely with the Sustainable Development Commission’s partners and will work with business, civil society, local communities, universities and internationally, to help deliver sustainable development together. The arm’s length body review will make Defra a leaner, stronger department - with a renewed and clearer focus on its key priorities and a simplified structure for delivering those priorities; underpinned by a robust, credible and efficient science base. The Secretary of State will continue to look closely at other Defra arm’s length bodies and will make any further announcements as appropriate. The SDC is an executive non-departmental public body (NDPB) established as a company limited by guarantee. It was incorporated on 1 February 2009. It is jointly owned by the Governments or Administrations in England, Scotland, Wales and Northern Ireland, with the Defra Secretary of State and the First Ministers (and Deputy First Minister in Northern Ireland) being the Members of the Company. Focusing responsibility for sustainable development policy within Defra will improve accountability, avoid duplication and lead to essential efficiencies. When the Royal Commission on Environmental Pollution was set up in 1970, there was very little awareness of “green issues” and few organisations represented the environment. The situation now is very different and Government has many sources of expert, independent advice and challenge on the state of the environment. Protecting the environment remains a key focus for the UK and Defra intends to draw on the full range of expertise available. The Agricultural Wages Board, the fifteen Agricultural Wages Committees and the sixteen Agricultural Dwelling House Advisory Committees were established by the 1948 Agricultural Wages Act and are affiliated to Defra. The Committee on Agricultural Valuation was established by the Agricultural Holdings Act in 1986. In light of decisions taken today to bring agricultural workers in England within scope of the National Minimum Wages Act we will agree with the Welsh Assembly Government the measures to bring about the abolition of the AWB. After the abolition of the Inland Waterways Advisory Council Defra will develop future policy in this area. We will strengthen our relations with stakeholders who have an interest in inland waterways. The Commons Commissioners is a statutory body comprising expert lawyers in commons law who were appointed to adjudicate disputed applications to register common land and greens under the Commons Registration Act 1965. This work began in the early 1970s and has now been concluded, so there is no need for this body to remain. A Written Ministerial Statement of 29 June 2010 announced the abolition of the Commission for Rural Communities and the merger of Animal Health and the Veterinary Laboratories Agency. All necessary approvals to carry out the abolitions and dissolutions of Defra’s arm’s length bodies will be made via the Public Bodies Reform Bill.